Stephanie West Allen was stunned when her significant other suddenly died in 1988. She hardly remembers the funeral and still feels badly about being unprepared. Ten years later, she watched her husband struggle to pull together a meaningful funeral for his mother, who had left no directions. Observing his grief, Allen felt that knowing what her mother-in-law might have wanted would have made holding a funeral so much easier. Based on those experiences, Allen wrote Creating Your Own Funeral or Memorial Service: A Workbook. In 1999, she registered October 30 as Create a Great Funeral Day as a “holiday” with Chase’s Calendar of Events. 2011 marks the 12th annual celebration. So why do people hesitate to discuss funeral planning, let alone do anything concrete about it in advance? Social psychologists cite the Terror Management Theory, that all human behavior is ultimately motivated by the fear of death. Death creates anxiety, because it strikes at unexpected and random moments, and its nature is essentially unknowable. Create a Great Funeral Day prompts us to be mindful and self-aware, to plan reflectively in advance, rather than in reaction after someone dies. Allen had previously stated she’d like to have a Western barbeque to celebrate her life, but now she’d only do that if the beef came from grass fed cattle. She said her mother was mortified by the idea of a cowboy-themed service. Still, stating a plan is better than no plan at all. Far too many funerals wind up with a “rent-a-minister” who didn’t know the deceased talking about theology. When there’s a death in the family, relatives may return to a religious tradition they had abandoned years before. Unfortunately, many will find such traditional funeral services don’t meet their emotional needs. “To have some person who doesn’t even know you stand up and talk about belief systems not shared by half the audience – or the deceased – that’s just so inappropriate,” said Allen. Allen suggests spending time on October 30 to avoid the specter of a “facelift funeral.” That’s a memorial service that goes through the motions of honoring the deceased but offers no emotional healing. A facelift funeral follows a cookie cutter form, with no personalization that connects the bereaved to the deceased. Consider the purposes behind the memorial service that you plan. Allen gives these reasons: to remember and celebrate your life; honor you; facilitate a sense of closure for those in attendance; give attendees an occasion to say goodbye to you; allow people from various segments of your life to meet each other; allow people to express their thoughts and feelings; begin the grieving process; provide an opportunity for those in mourning to support each other; confirm the finality of your death; and to celebrate and support your departure to an afterlife. Use Create a Great Funeral Day to avoid a facelift funeral. Change from fear of funerals toward courage to plan ahead and talk about it. It’s an act of love to plan and communicate your values. Read this blog post for an update on Stephanie West Allen’s approach to funeral planning. The book A Good Goodbye: Funeral Planning for Those Who Don’t Plan to Die also provides great funeral planning insights in a fun, upbeat manner. 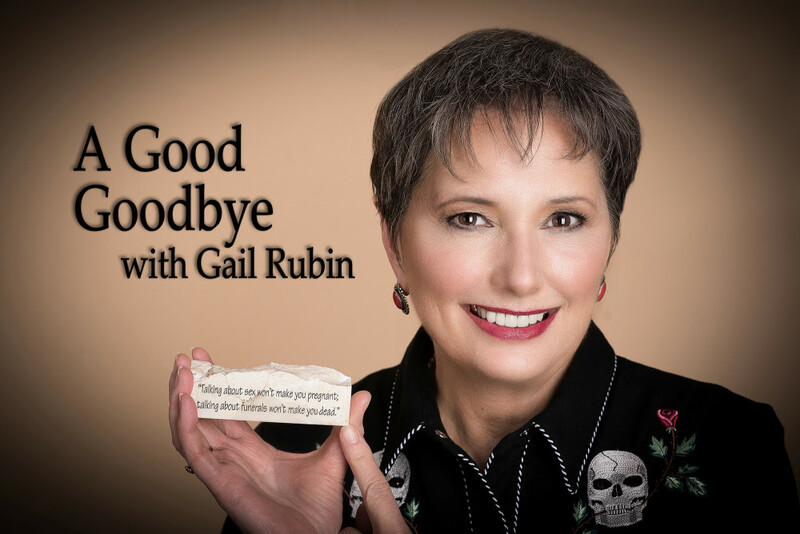 Gail Rubin, CT, is a Certified Thanatologist (a death educator), a Certified Funeral Celebrant and the host and author of the award-winning book and TV series, A Good Goodbye: Funeral Planning for Those Who Don’t Plan to Die.